It exists commonly in our lives to conduct data sharing between iPhone/iPad and Android devices. However, sometimes you may find it tricky or have no idea how to export or restore your iOS date to the Android phone or tablet. 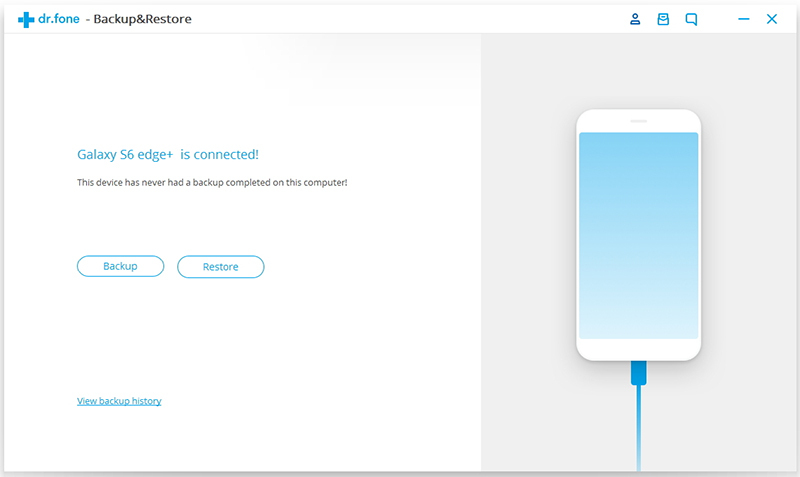 In this tutorial, we will show you some step-by-step guides on how to restore the iCloud backup files on IOS to Android devices by using our powerful app- iSkysoft Toolbox-Backup &Restore(Android). Download and launch the iSkysoft Toolbox firstly and move forward to tap on “Backup &Restore”. After that, please keep your Android device and computer connected with a USB cable. Move on to click “Restore” on next screen below. Then select the “Restore from iCloud backup” option. 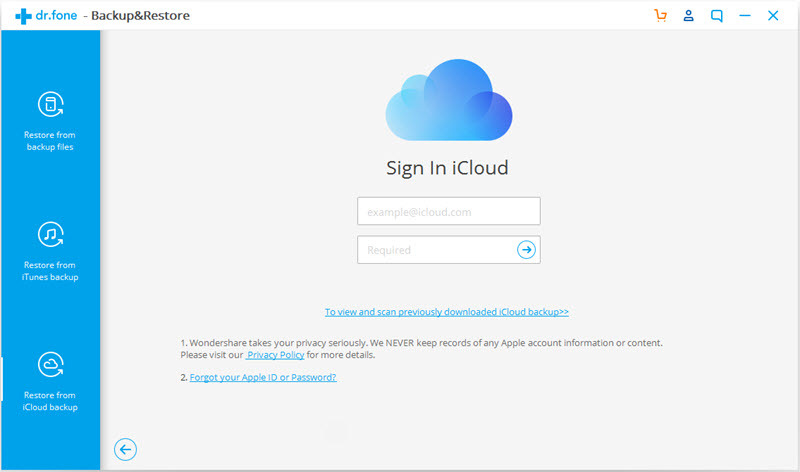 Here you need to type in your apple ID and password to access the iCloud backups. 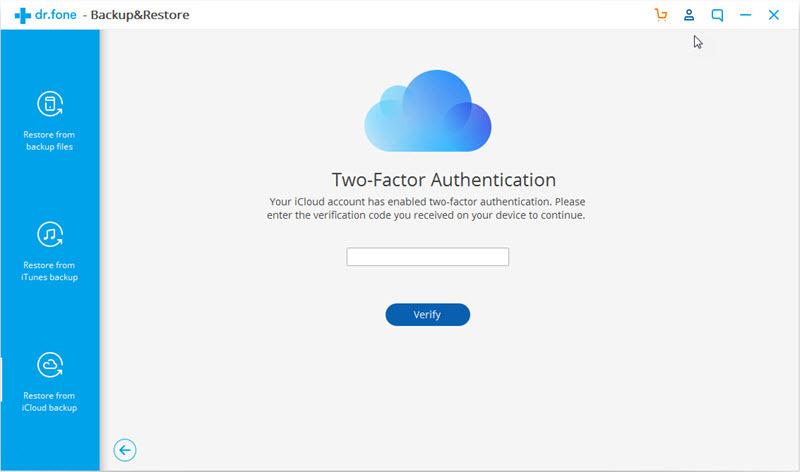 If you already turned on two-factory authentication for your iCloud, you need to verify it by typing in the code that’s sent to your Android equipment. 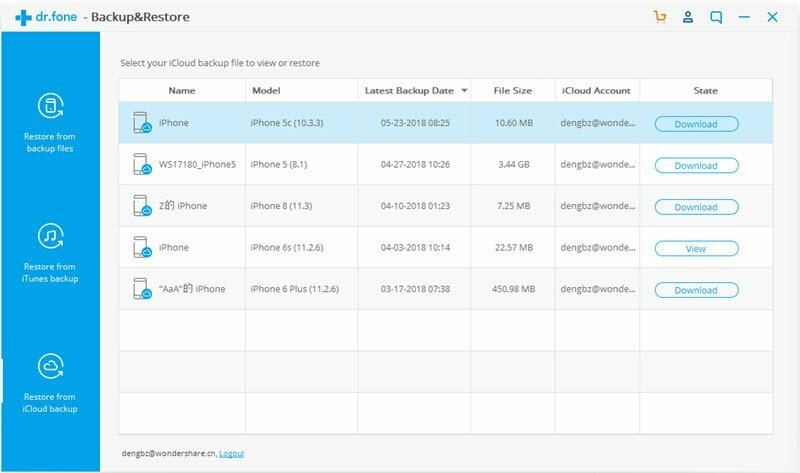 After your iCloud is accessed on computer, the program will list the types of iCloud backup files in the interface. 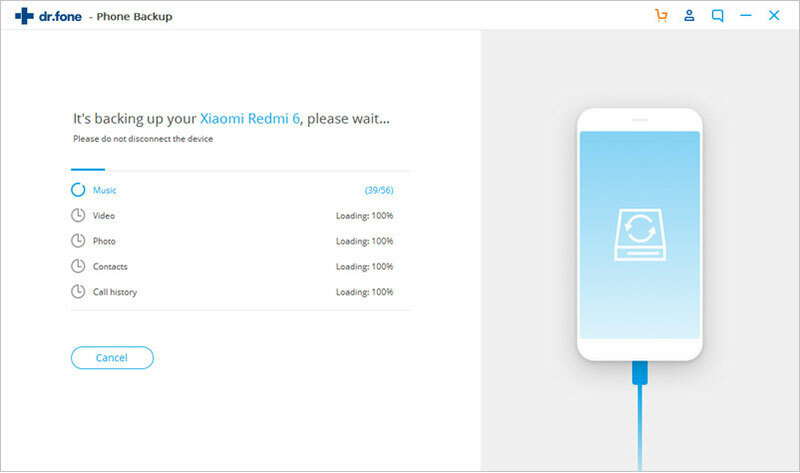 In this page, please select one of them and tap on “Download” to save backup file on your computer. After the download finishes, all of data from iCloud backup file will be displayed and categorized as shown below. 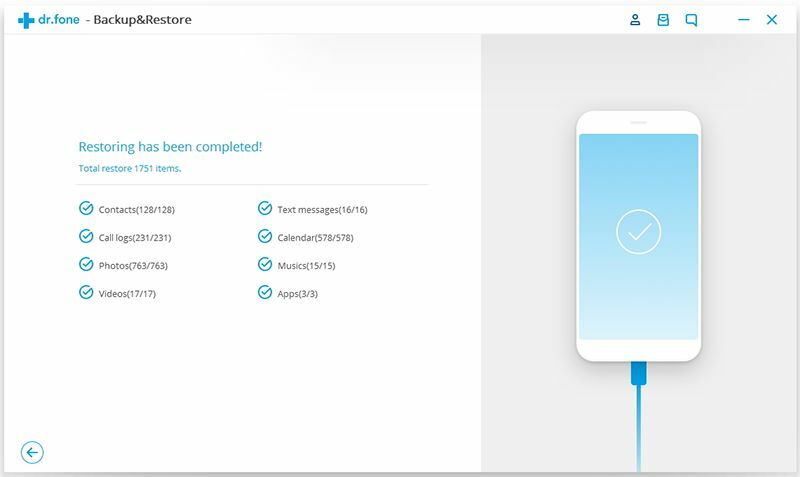 Next, what you need to do is just tick the files you want and then click on “Restore to Device” and “Continue” buttons to prepare for restoring these data from iOS to Android. 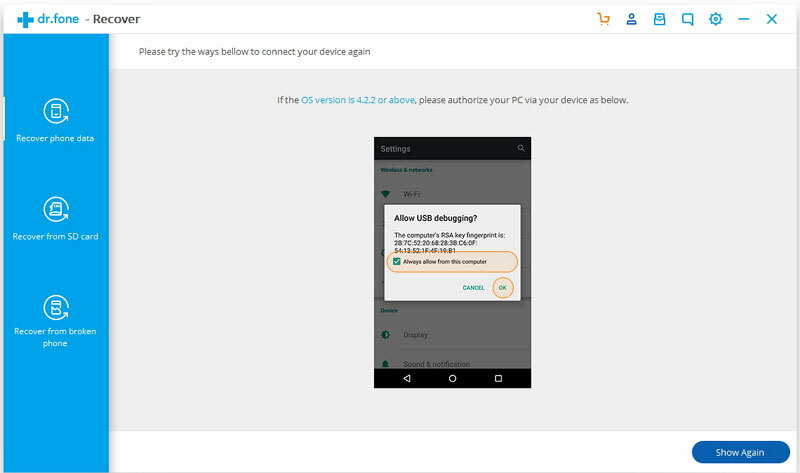 Then please click “YES” on your Android device to enable USB debugging when you receive a confirmation message. 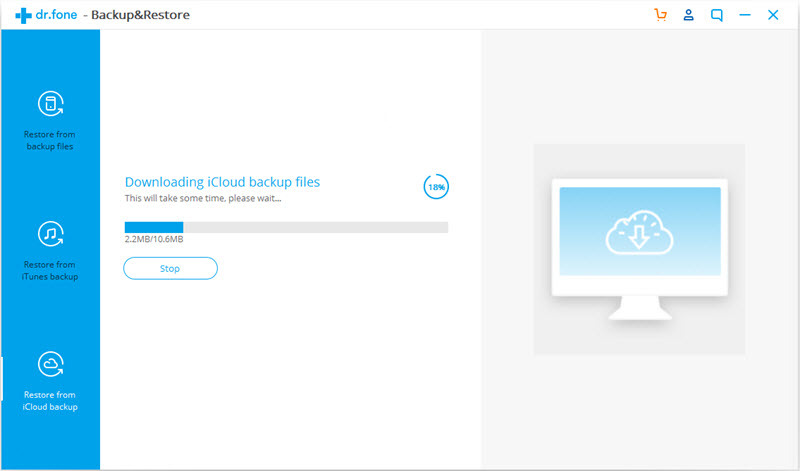 Be patient when the program is restoring your iCloud data and files. 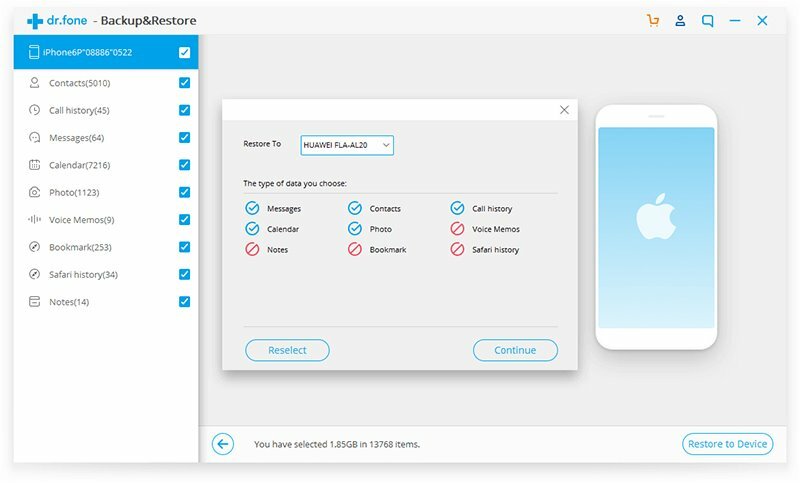 After it completes, you can remove the device from the PC and check whether all of desired data has been restored to your Android phone or tablet.